Since we know that prisons, and more specifically prison officials, create a culture of fear and retaliation, this week NYC ABC will be focusing our every-other-week political prisoner letter-writing dinner on Joe-Joe Bowen, who is no stranger to rebelling against captors as a path towards collective liberation. Joe-Joe was recently transferred and put into solitary confinement and in addition to letters, NEEDS YOUR HELP. A native of Philadelphia, Joe-Joe was a young member of the “30th and Norris” street gang before his incarceration politicized him. Released in 1971, his outside activism was cut short a week following his release when Joe-Joe was confronted by an officer of the notoriously brutal Philadelphia police department. The police officer was killed in the confrontation, and Bowen fled. After his capture and incarceration, Bowen became a Black Liberation Army combatant, defiant to authorities at every turn. In 1973, Joe-Joe assassinated Holmesberg prison’s warden and deputy warden as well as wounded the guard commander in retaliation for intense repression against Muslim prisoners in the facility. In 1981, Bowen led a six-day standoff with authorities when he and six other captives took 39 hostages at Graterford Prison as a freedom attempt and protest of the prison conditions. As the state more closely colludes with capital to assure that wealth travels in one direction (HINT: it ain’t towards us), it also continues its war on dissenters. In the past couple of years, over 200 folks faced down decades in prison for dressing alike and being bold enough to challenge the authority of the white nationalist-emboldening president and all he represents. Just as we supported the #J20 defendants, NYC ABC also fights for those comrades who are imprisoned for taking action against the state and this week we are focusing our every-other-week political prisoner letter-writing dinner on two such folks. 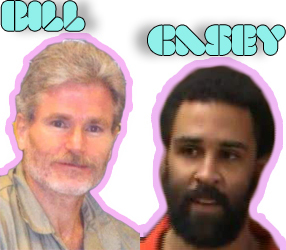 This week we are writing to anarchist prisoners Bill Dunne and Casey Brezik. BK/NY – Friday, November 30th – NYC 2019 Certain Days Launch Party! NOTE: Interference Archive is on the ground floor, is wheelchair accessible, and has a gender neutral toilet. Join us for the Certain Days: Freedom for Political Prisoners Calendar launch party! The calendar is in its 18th year and is a joint fundraising and educational project between outside organizers in Montreal, Hamilton, New York and Baltimore, in partnership with a political prisoner being held in maximum-security prison in New York State, David Gilbert. This year’s theme is “Health/Care,” and features art and writings by David Gilbert, Bec Young, Radical Indumentaria, Aviva Stahl, Debbie, Mike and Chuck Africa, Roger Peet, Addameer Prisoner Support & Human Rights Association, Leah Jo Carnine, Suzy Subways, Farha Najah, Ashanti Alston Omowali, Alec Ixnay Dunn, Barbara Zeller, Hikaru Ikeda, Giselle Dias, Micah Bazant, Justice for Alisha Walker, Fernando Martí, Sins Invalid, Tom Manning, Dave George, Laura Whitehorn, Frizz Kid, Abolitionist Law Center, Cindy Milstein, and more. Local contributors to this calendar will be speaking about their art and articles printed in this year’s calendar. We will also have copies of the calendar for sale and holiday cards for political prisoners for you to sign. This event will take place on the 19th anniversary of the Seattle protests that successfully shut down the World Trade Organization (WTO) meetings in 1999. We will have some audio and images playing from that historic moment. This event is co-sponsored by NYC Jericho, ProLibertad Freedom Campaign, NYC ABC, NYC Free Peltier & Samidoun Palestinian Prisoner Solidarity Network. With hundreds of thousands of folks across the country taking the streets to make the demand to #AbolishICE, NYC ABC invites you to support others held captive by the state. For this week’s political prisoner letter-writing dinner, we are writing to Rayquan Borum. 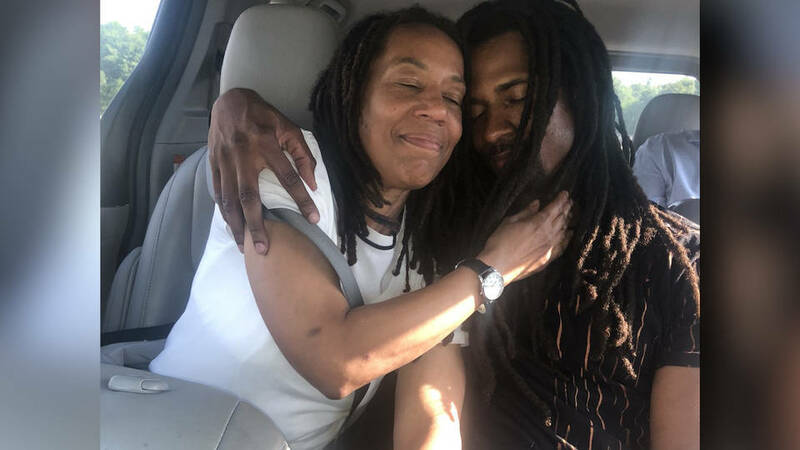 Debbie reunited with her son Mike, after 39 years. This week NYC ABC will be writing to anarchist prisoner Eric King, who certainly feeds off of news of fellow political prisoners to keep his fire burning while inside. 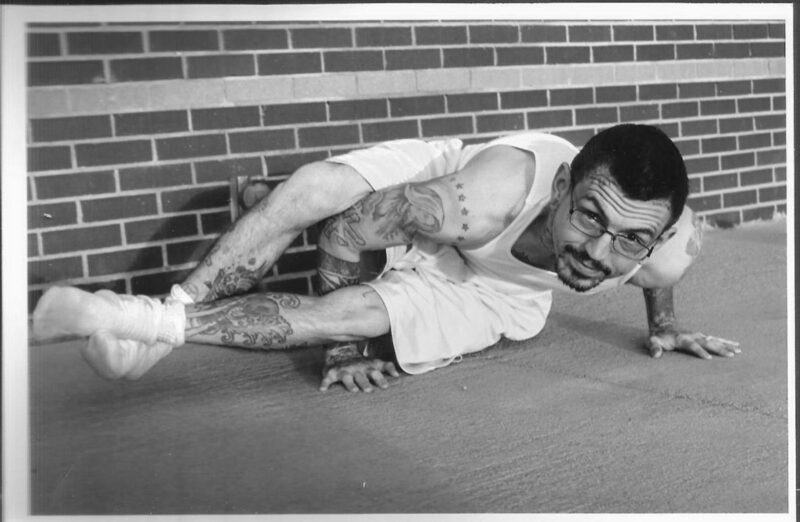 Eric is a vegan anarchist prisoner serving a 10 year sentence for an attempted firebombing of a government official’s office in Kansas City, Missouri in September 2014. Eric was charged with throwing a hammer through a window of the building, followed by two lit Molotov cocktails. The criminal complaint states that both incendiary devices failed to ignite. The second annual International Day of Solidarity with Eric King is coming up on June 28th so we encourage folks to send him a card or letter and spread the word about him if not already doing so. 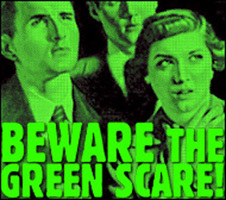 More information can be found at supportericking.org.